In hard economic times like these, readers will find bestselling author Ted Gup's unique book uplifting as well as captivating. 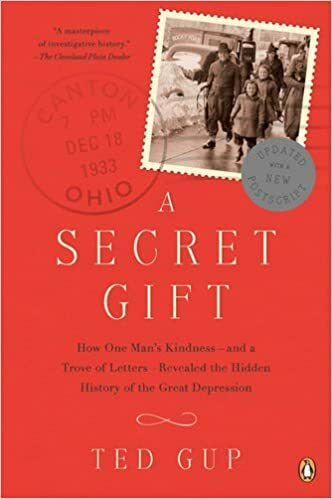 Inside a suitcase kept in his mother's attic, Gup discovered letters written to his grandfather in response to an ad placed in a Canton, Ohio, newspaper in 1933 that offered cash to seventy-five families facing a devastating Christmas. The author travels coast to coast to unveil the lives behind the letters, describing a range of hardships and recreating in his research the hopes and suffering of Depression-era Americans, even as he uncovers the secret life led by the grandfather he thought he knew.